Subscribe to get deals from hundreds of merchants including the best of VANIDAY! This promotion is valid until 31 December 2019. Valid with all UOB Cards. Discount is capped at $15.. Please always check with the merchant on the validity of the promotion before purchase. Vaniday 50% off first booking for new customers only with Maybank Cards. The promotion is valid from 1 January to 31 December 2019. Promotion is capped at S$25. Please always check with the merchant on the validity of the promotion before purchase. This promotion is valid until 31 December 2019. Valid with UOB Lady's Cards only. Discount is capped at $15.. Please always check with the merchant on the validity of the promotion before purchase. Vaniday 20% off booking capped $15, existing customers only with Maybank cards. The promotion is valid from 1 January to 31 December 2019. Promotion is capped at S$25. Please always check with the merchant on the validity of the promotion before purchase. Vaniday offers 10% cashback credit from second appointment onwards. The promotion is ongoing. Get the deal to enjoy the offer.. Please always check with the merchant on the validity of the promotion before purchase. Vaniday offers 8% off 3 bookings capped at S$30 for existing Vaniday users. The promotion is valid until 31 March 2019. Enter the promo code at the checkout to get the offer.. Please always check with the merchant on the validity of the promotion before purchase. Vaniday offers S$15 off with no minimum spend for new to Vaniday Users with HSBC cards. The promotion is valid until 31 March 2019. Enter the promo code at the checkout to get the offer.. Please always check with the merchant on the validity of the promotion before purchase. Vaniday offers 50% off first booking. This Maybank card promotion is available until valid from 1 January to 31 December 2018.Enter the promo code at the checkout to get the offer. T&C apply. Please always check with the merchant on the validity of the promotion before purchase. Valid till 31 Mar 2018.. General terms and conditions apply.. Promo code is ILOVEUOB. Please always check with the merchant on the validity of the promotion before purchase. 50% off beauty and wellness treatments. First S$50 spent on Vaniday with maximum discount capped at S$25.. Valid for first-time users only.. Use the new app to book your next beauty appointment.. Not redeemable in store.. Enter promo code upon checkout when paying online with an HSBC credit card to enjoy the offer.. Promo Code: <HSBC50>. Please always check with the merchant on the validity of the promotion before purchase. Established in March 2015, Vaniday is an online wellness and beauty bazaar that offers its users opportunity to book beauty treatments anywhere and anytime for free, plus Vaniday promo codes are also available to make beauty treatments even more affordable. It operates in five countries worldwide in Australia, Brazil, Italy, UAE and Singapore. One of the most frustrating things in life has to be when you’re trying to call someone who NEVER picks up the phone. Especially when you just need to book a quick beauty appointment. Well, Vaniday allows its users to quickly book beauty and wellness appointments online 24/7; you can even make bookings via the Vaniday app through your mobile phone – talk about discreet, fast and simple! Payment is done online through a registered bank card, so you don’t even need to take out your wallet once you’re done with your pampering session. There are no extra charges, and guess what? You’ll even get to save more with the promotions available! Pick from from a range of beauty services such as hair treatments, manicures, pedicures, makeup, facial aesthetics, hair removal, spas, wellness massages, even acupuncture and more, from reputable beauty partners available on the Vaniday platform. With the 10% cashback you get from each booking, you get to enjoy top savings – the more bookings you make, the more money you can save! Vaniday Singapore makes it possible for Singaporean health and beauty enthusiasts to discover the trendiest hairdressers, the most stylish nail salons and the best massage parlours in the area with just a single click. With over 800 salon affiliates, users are presented with a plethora of services from Swedish and Thai Massage, facials, eyelash extensions, manicure and pedicure to body scrubs. Of course it’s not just women who can take advantage of this revolutionary platform. Men can book appointments for a shave or a trim from Singapore’s top barbers and hairstylists. Users only need to browse for their preferred salon, choose the type of service they want and book an appointment. If you’re unsure of what may be the best salon for you, Vaniday Singapore’s easy-to-use interface showcases all the necessary information needed – descriptions, photos, services offered, service length, prices, booking dates and even the available payment method (online or direct). Not satisfied with that? You can also check for the reviews left by actual costumers. And if you’re one for convenience, Vaniday’s built-in GPS feature saves you the trouble by suggesting the nearest beauty centres near you. After booking, you can save time by paying for it online via supported credit cards with Vaniday’s secure online payment feature. With Vaniday Singapore, users can experience an expert’s touch and indulge in top-class service with just a simple tap. Did you know that big brand name Benefit Cosmetics offers brow shaping services? One of Vaniday’s most popular beauty partners, choose from Benefit’s brow, lip, chin wax and tint services at Sephora ION or Benefit’s store at Westgate. Gentlemen, you are not forgotten as barber services like beard trimming and men shave are also available. Need a good workout or looking for a session of good stretching? Fitness and yoga classes can also be booked via Vaniday! 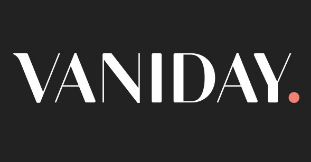 We like that the Vaniday website allow you to filter the beauty treatments based on price and location. With over 850 salon and spa partners, the locations are pretty varied and accessible for everyone all over the island. While most are concentrated around town and CBD area, there are salons/spas located in the heartlands, like Toa Payoh, Ang Mo Kio and Eunos. What’s more, Vaniday also have a referral programme. Every friend you refer who makes an appointment on Vaniday will receive $15 off their first booking. Best part is, YOU get $15 off your next appointment too. So why not pass on the good deal and jio your friends for your next beauty appointment? If you’re not sure which salon is the best fit for your specific needs, check out the honest reviews by other users on the application itself. For Vaniday, it’s not enough that you only get to book for a beauty service. If you join Vaniday Singapore’s Beauty Community, you’ll be kept up to date with the latest fashion and beauty trends, but that’s not all. Users will receive exclusive deals and promos and find the most affordable packages in areas nearest to them. How does a haircut plus hair colour and treatment with 20% discount sound? How about face and eye total care package with almost 50% discount? Be a part of Vaniday’s Beauty Community and you’ll be the first to know about these discounts. To start your own indulgent beauty treatment, visit Vaniday Singapore’s website, or download Vaniday’s mobile app and get instant access to these awesome deals. Whether you are looking for a makeover, a luxurious spa session or treat your hair to a keratin treatment, start planning and booking your day of beauty treats now with Vaniday! Remember to check back at Cardable for the latest Vaniday promotions.